In most RPG games, you’re stuck picking an alignment of some sort – it helps the game figure out how you’re going to play and will often influence the outcomes of certain situations. It comes as very little surprise to me that I often roll up someone in the chaotic good/chaotic neutral arena, since chaos is pretty much what sums up my “real” life. So it makes sense that my writing habits are very much the same way. 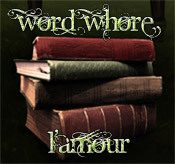 Read more about it over at Word Whores. YES. Just randomly stumbled across this. Any female urban fantasy writer who knows what rolling up a character means scores a critical hit on my undying love. You can bet I will be picking up your book this weekend, Ms. Pang. Rock on.